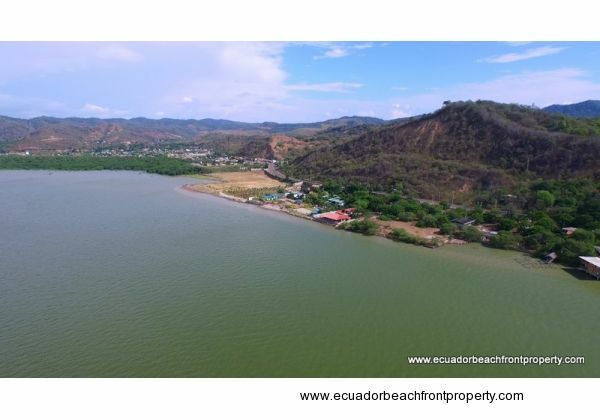 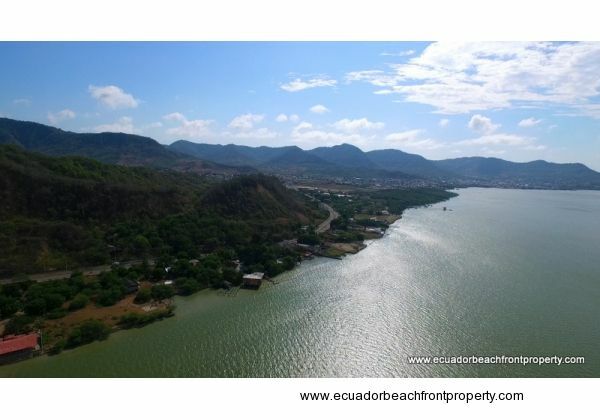 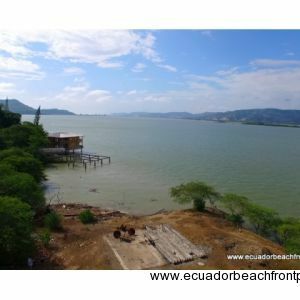 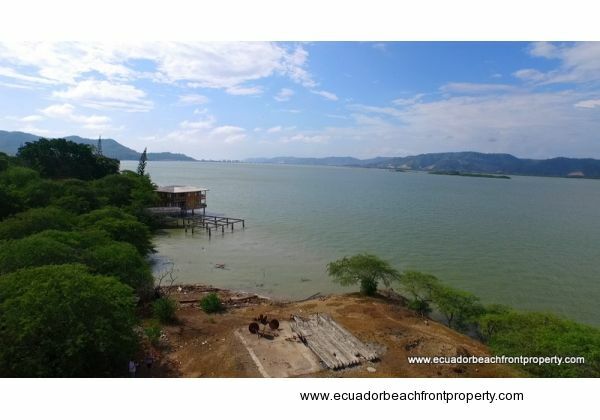 This 1.3 acre (5308 square meter) waterfront parcel is right on the peaceful waters the Chone River and Estuary. 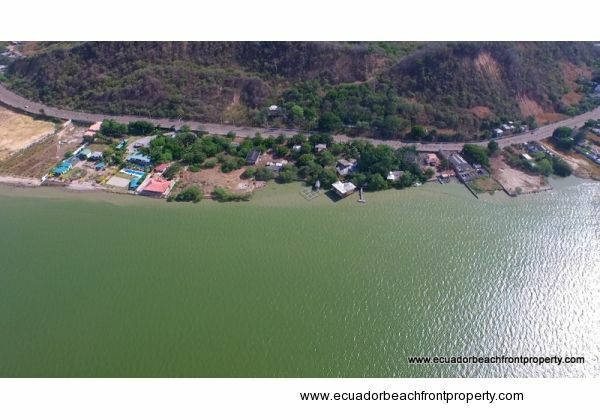 Water access to the Bay and some of the best fishing grounds in the Pacific Ocean make this property a water-lovers dream destination. 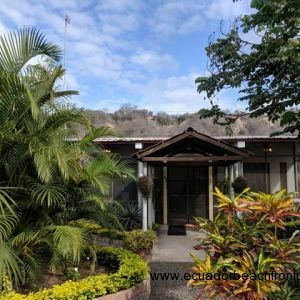 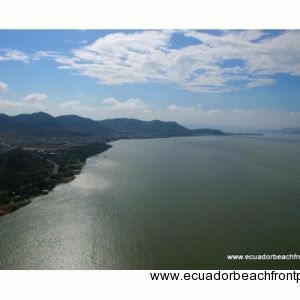 The Bay of Bahia de Caraquez ebbs and flows with the tidal cycle and is home to beautiful mangrove forests, chock full of birdlife, and is a great place to take a deep breath and enjoy the soft breezes and Pacific air. 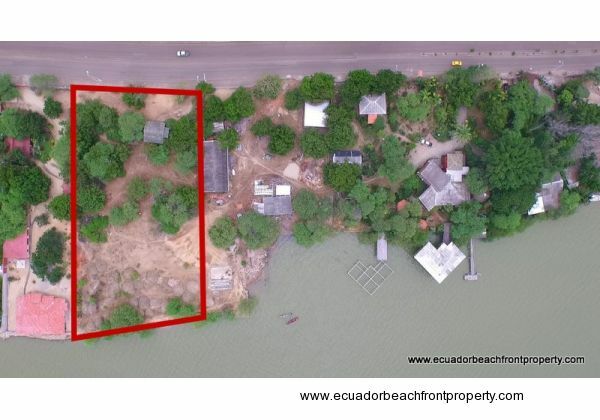 Featuring 178 feet of waterfront, this lot was historically used as a loading and unloading site for a ferry that would transport goods from one side of the mile wide estuary to the other. 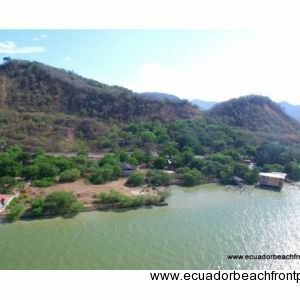 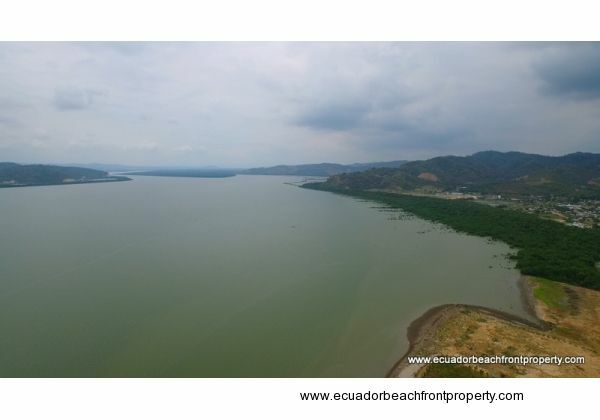 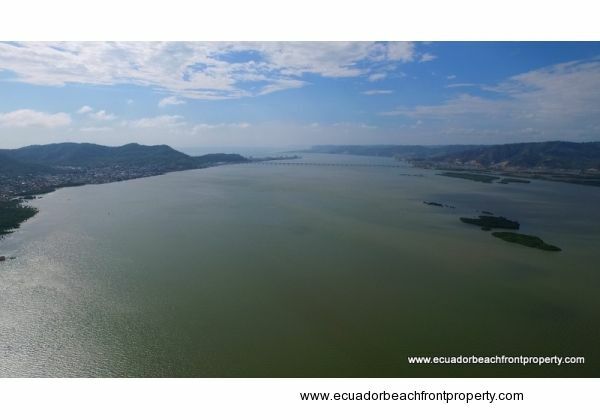 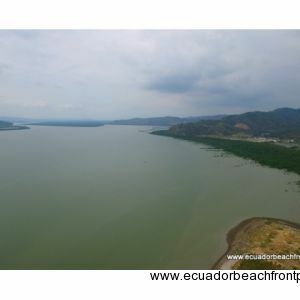 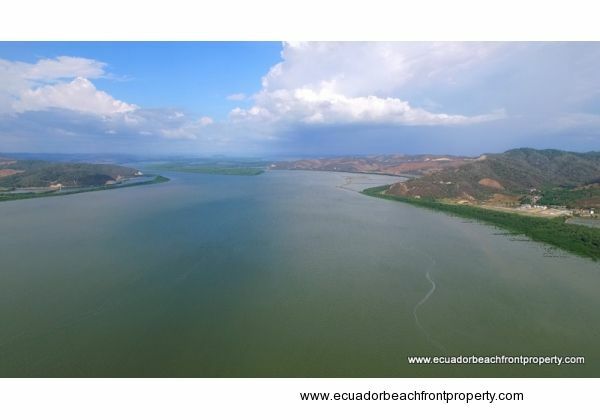 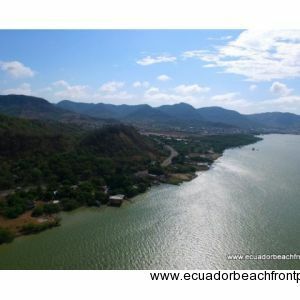 The site has since been resting as there is now a brand new bridge connecting nearby Bahia de Caraquez to San Vicente on the other side of the estuary. 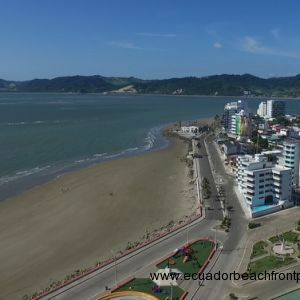 The bridge is actually the longest in all of Ecuador and is a point of pride for the region. 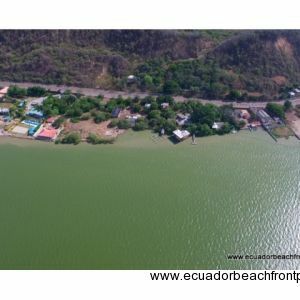 Water and electric are available at the site. 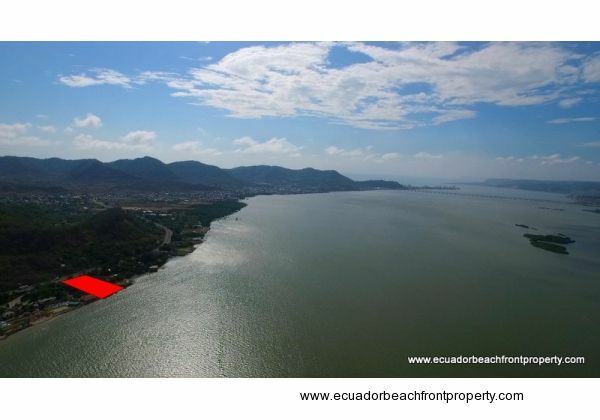 Lot dimensions are 178 feet of riverfront and 342 feet deep (54.5 meters of riverfront by 104.5 meters deep). 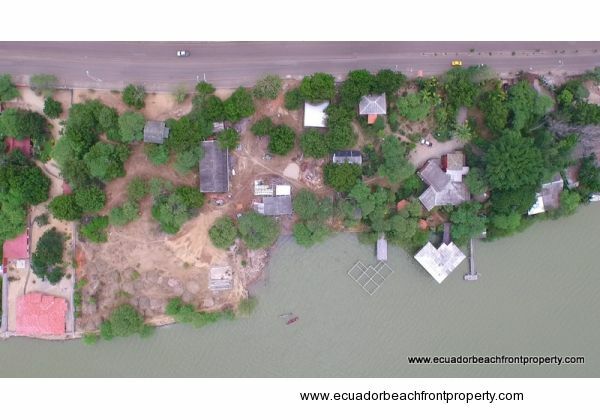 Above is an aerial view of the property. 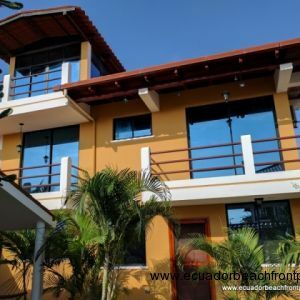 Next door is a beautiful and quiet retreat-style hotel with suites built on over the water on pilings and a vegetarian restaurant. 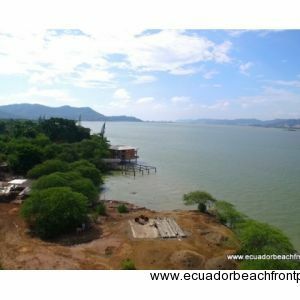 Beautiful custom built homes to the East and West take advantage of the calm bay front location. There are very few spots along the bay that have direct water access without a mass of mangroves in front. 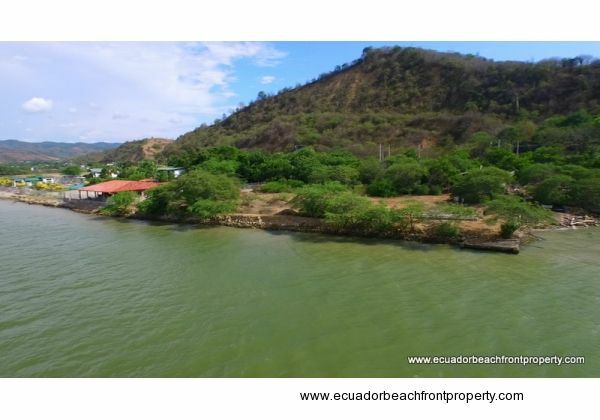 The unique location of this property, where a river bend meets the base of a hill, allows this lot a privileged access and interaction with the river not found in other areas surrounding the bay. 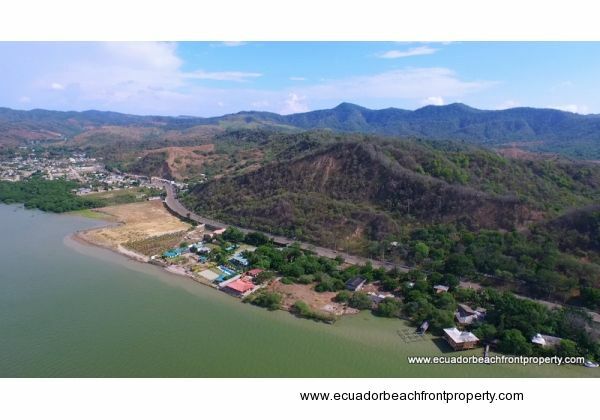 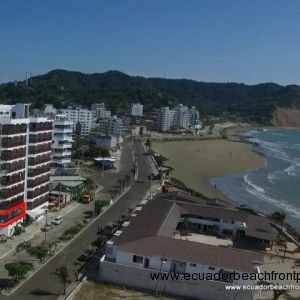 In the photo below, the property is highlighted in red and you can see the wide bay and new bridge (Puente Las Caras) and out to the Pacific Ocean. 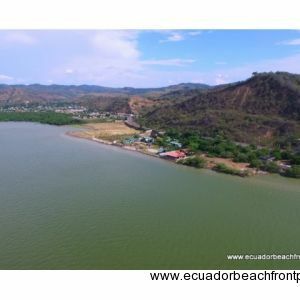 There are mangrove islands to visit, tidal sand flats to picnic on, and a whole world to explore via boat, kayak, small sailboat, jetski or paddle-board. 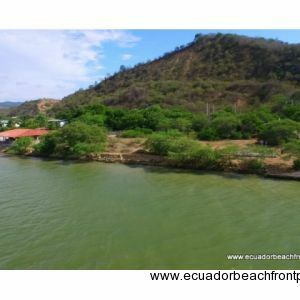 This would be a prime location for a tourist resort or exclusive Bed and Breakfast. 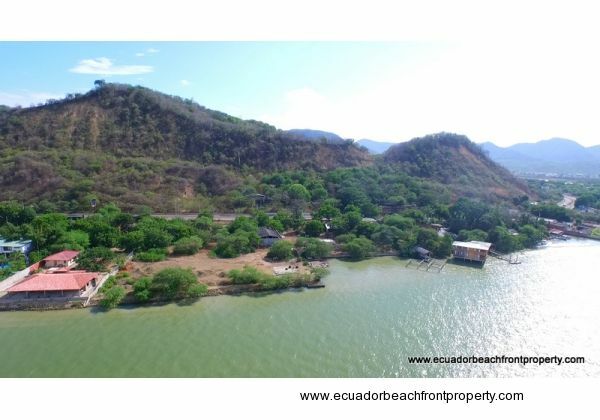 The view to the East shows the vegetated border of the river making this particular property a unique offering in the marketplace. 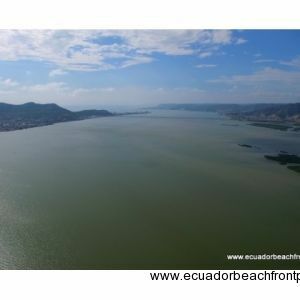 Further east are mangrove islands to explore and the internationally recognized La Segua Wetland Complex. 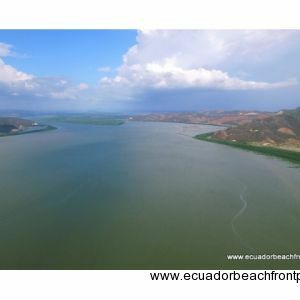 This is an 4536 acre internationally-recognized (see Ramsar.org) wetland system home to two species of river shrimp, turtles of the genus Chelydra and 164 species of birds (22 migratory species and 63 aquatic ones). 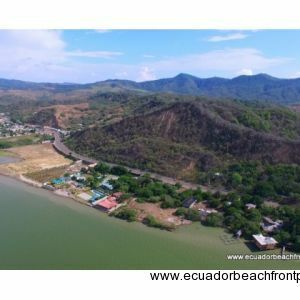 The flora includes 27 families and 39 species of wild vegetation. 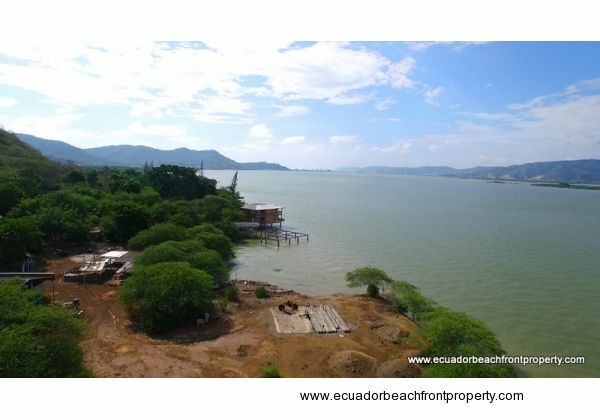 This property provides access to a nature and bird lovers playground. 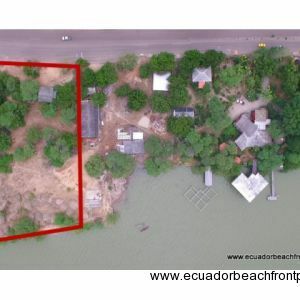 This parcel would be ideal for either a large single family home with lush gardens or for a development project. Please contact us with questions about the property and its surroundings.